Superb, men's lightweight ski touring/ski mountaineering boot with a high volume fit. 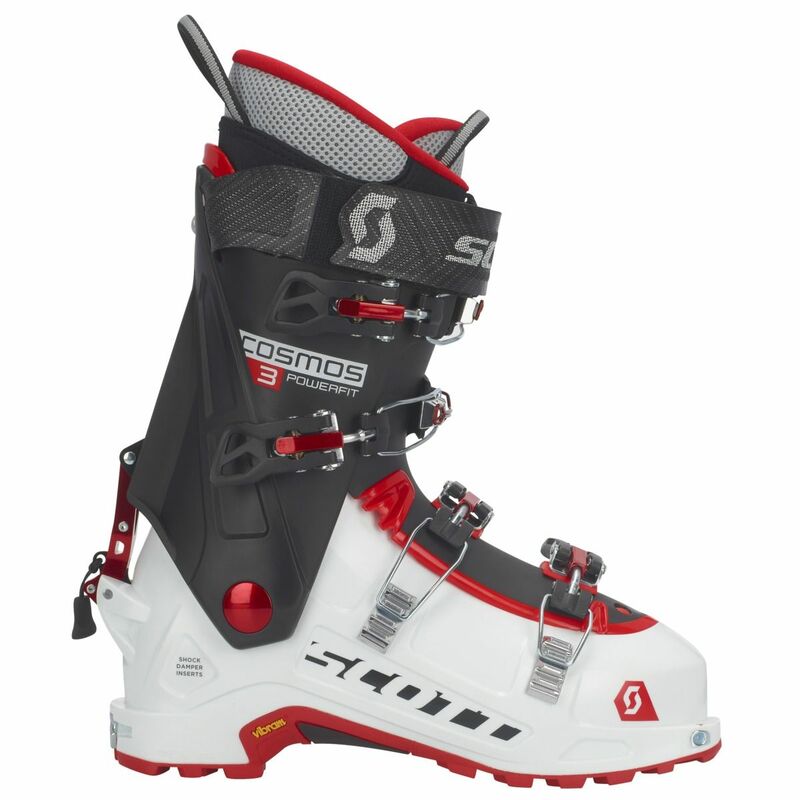 Featuring a brand new external Ski / Walk Mechanism to improve durability for the 2018 season, The Scott Cosmos II are a lightweight 4 buckle ski touring boot which give a high degree of support for skiing. Originally based on the Garmont Cosmos, Scott have continued to adapt the Cosmos improving the innerboot, the walk mode, riveting some of the bolt on components which were working loose and getting rid of the problematic cuff alignment bolts and replaced them with the much more reliable rivets. Being a reasonably high volume fit (both wide and deep over the instep) the Cosmos 2 are an ideal choice for skiers who have problems getting boots with enough space. They come with a good quality Powerlite thermo fit inner boot to customise the fit and the Grilamid shell can be stretched if done carefully. The sub 3Kgs weight and great range of motion in walk mode the Scott Cosmos feel light and comfortable on the way up and the 4 buckle design and stiff cuff allow you to crank them tight getting a stiff and responsive ski on the way back down. for an appointment. All ski boots fitted by us carry a boot fit guarantee.